Three weeks ago we hosted a family reunion for my cousins. With about 25 people attending, I decided to make it a potluck party. I made Pulled Pork in the Oven, a recipe that I had found on the Eating Well website. One of my cousins brought more than enough fantastic chocolate cupcakes for dessert, and everyone else brought a wonderful assortment of appetizers, salads, side dishes, and wine. It was one of the easiest parties ever, and we all had a great time visiting and catching up with each other! 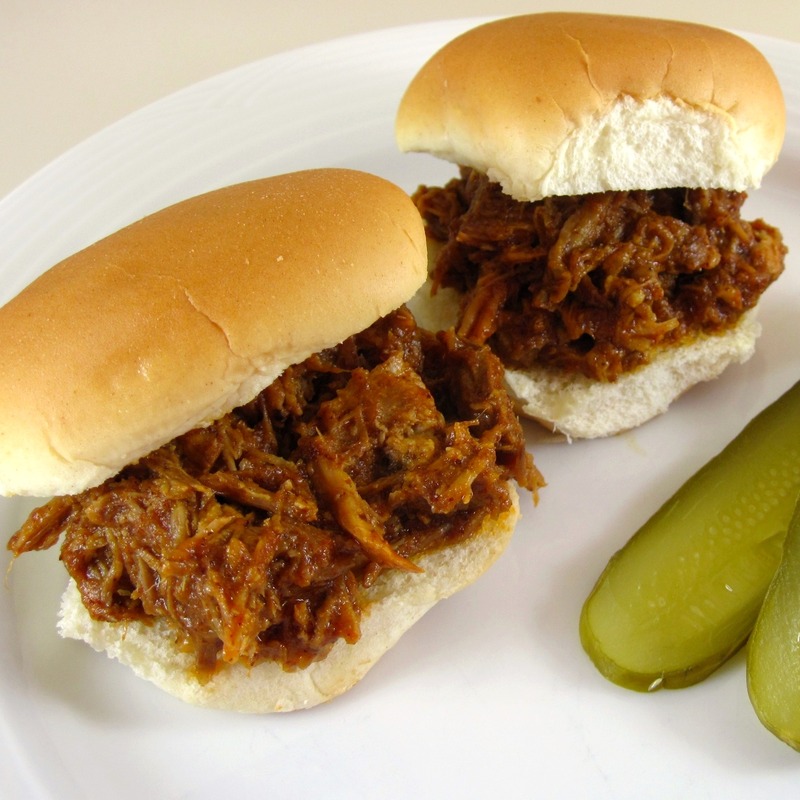 The original Pulled Pork in the Oven recipe makes 12 (3-ounce) servings. I could have gotten away with doubling it, but I wanted to be sure to have enough food, so I tripled it. We had more than enough, and plenty for leftovers. I bought slider rolls, which turned out to be the perfect size to use when you have a lot of other great dishes to sample at a party. What I love about this recipe is that it is so easy! Once you get the sauce made, it just does its own thing in the oven. You don’t have to fuss over a barbecue for hours. Pulled Pork in the Oven is a great recipe if you ever have a crowd to feed. One more thought….if you’re a fan of slow cookers, I don’t see why this couldn’t be done in one. Just prepare the sauce as directed on the stove, then put the sauce and the roast in the slow cooker and cook on low for 8 – 10 hours. I haven’t tried it, but I think I just might sometime. 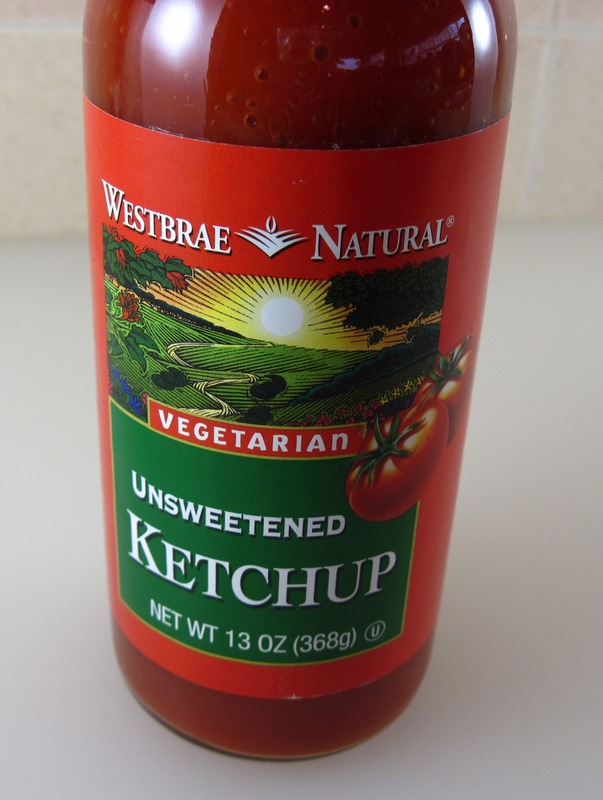 This is the original recipe; it makes 12 (3-ounce) servings. Double or triple the ingredients to serve more people. 2. Heat the oil in a large oven-proof pot over medium-low heat. 3. Add the onion, and cook, stirring occasionally, until the onion is quite soft. This will take about 20 minutes. 4. Increase the heat to medium. Add the chili powder, cumin, paprika, and cayenne. Cook, stirring, for 1 minute. 5. 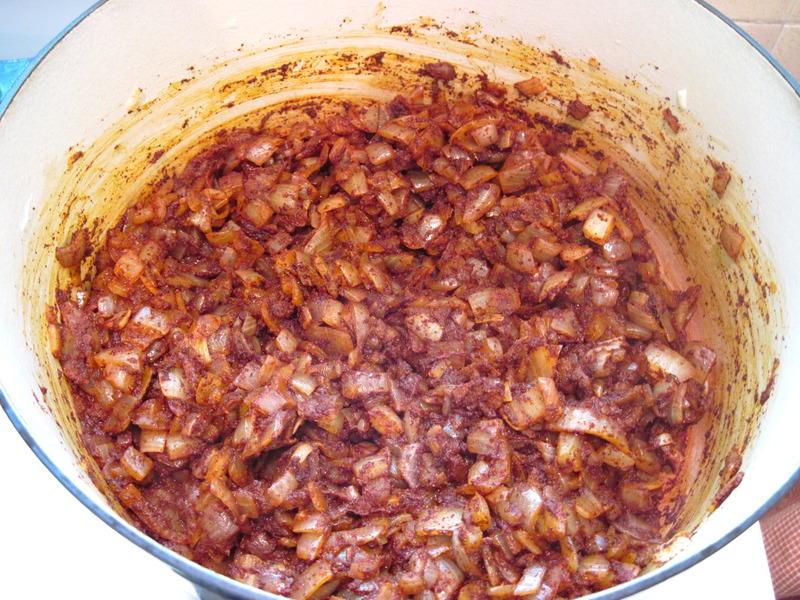 Add the beer, ketchup, vinegar, mustard, tomato paste, chipotle pepper, and the adobo sauce. 6. 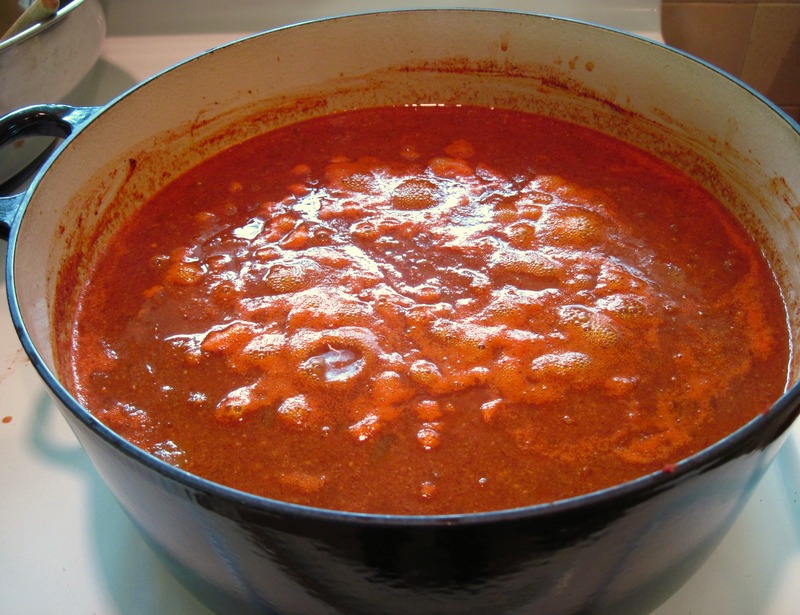 Bring the sauce to a boil; reduce the heat and simmer until it has thickened slightly, about 10 minutes. This photo shows my simmering sauce when I tripled it. It filled an 8-quart pot. 7. Trim the visible fat from the pork while the sauce is simmering. 8. Add the pork roast to the pot of sauce, spoon the sauce over the pork, and put a cover on the pot. 9. 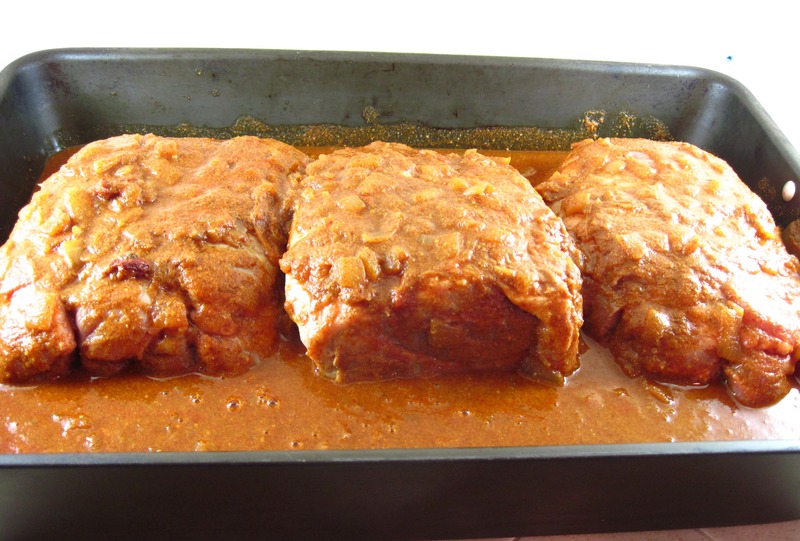 Put the pork in the preheated oven and bake for 1½ hours. 10. Turn the roasts over; cover and bake for 1½ more hours. 11. Remove the cover and continue to bake until it is fork-tender, or for 1 – 2 more hours. 12. Take the pork out of the pan and put it in a large bowl. 13. Let the sauce cool a bit, and then skim off some of the fat. Cook the sauce over medium heat so it can thicken and reduce a bit. 14. While the sauce is cooking, pull the pork into shreds using two forks. 15. Add some of the sauce to the pork and stir it together. You’ll probably have more sauce than you need to blend with the pork. Extra sauce can be served on the side for those who want more. 16. Serve hot on slider buns, or the bread of your choice. 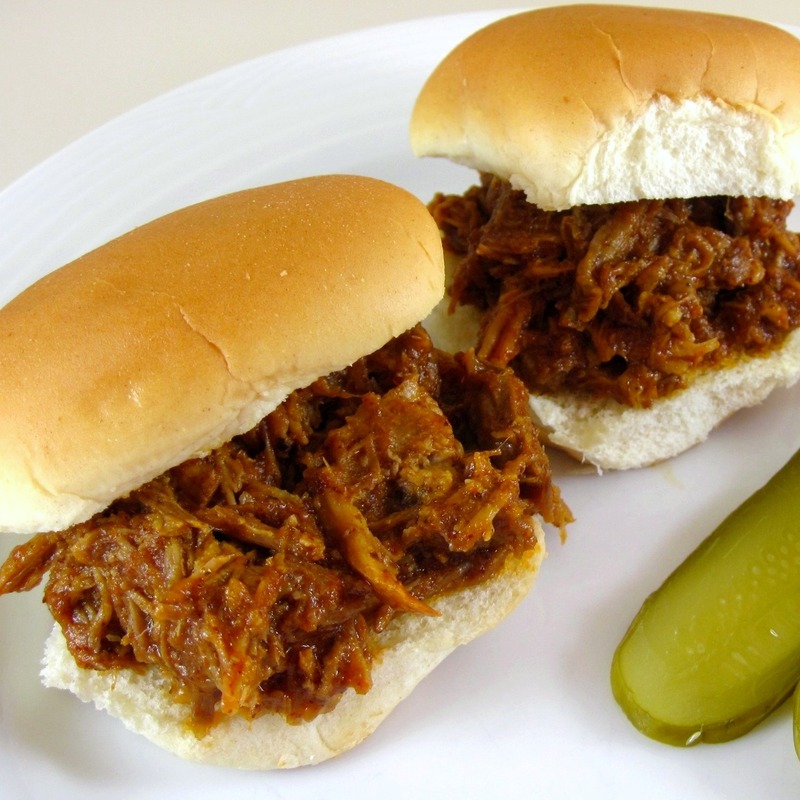 Glad I have a few crockpots-makes pulled pork a cinch. Your recipe here does look flavorful-thanks for sharing. 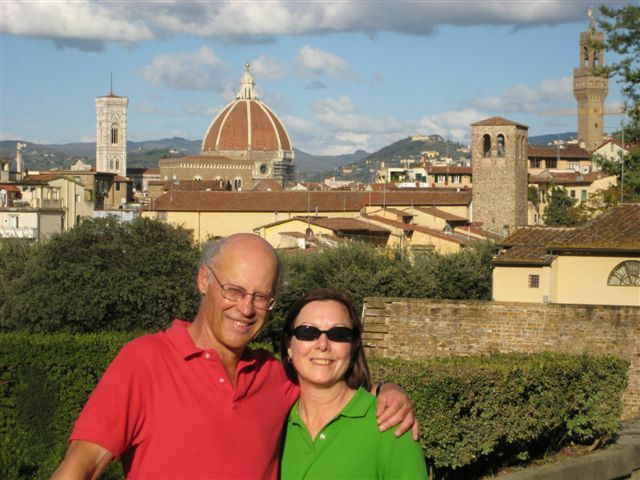 Tina, thanks for your comment! I thought slow cookers would work. I only have 1, so the roasting pan in the oven was a good way to cook the 3 roasts. My bf would love this. I love how you can just throw stuff in the slower cooker and it does all the cooking itself. Super easy! Slow cookers are really great for some things, like this! Oh, I bet the house smells amazing while this is cooking! Looks marvelous! 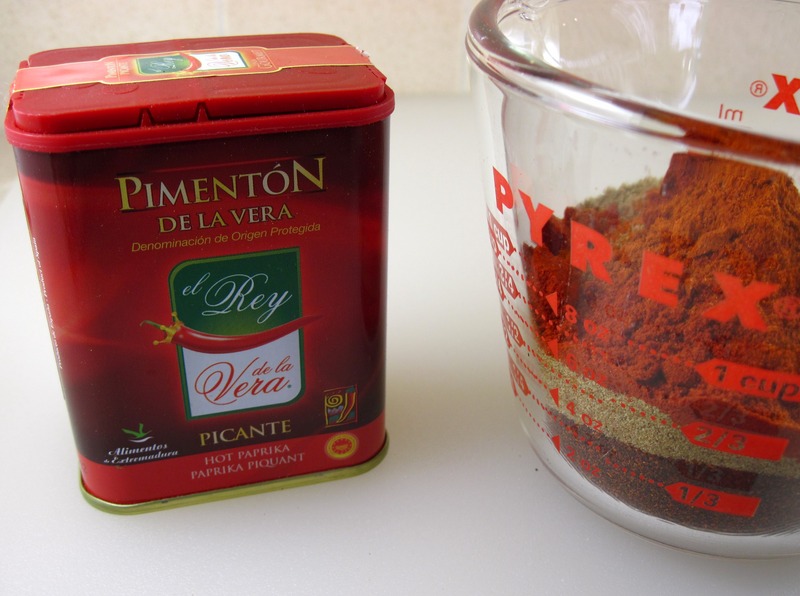 Great spice mixture. I really like setting this type of thing in my slow cooker and going out for the day and returning to a great aroma. It is wonderful to come home to a slow cooker filling the house with the aroma of a great meal to come! What a great way to feed a crowd. 250 people!!!!!!!! Cudos to you for pulling it off. I can’t wait to try this. Might even do it this weekend. I bet we could slow roast it on our smoker. Slow roasted in your smoker sounds fantastic! What a great pork recipe! I love that it is as simple as 1-2-3 and great for making ahead of time. 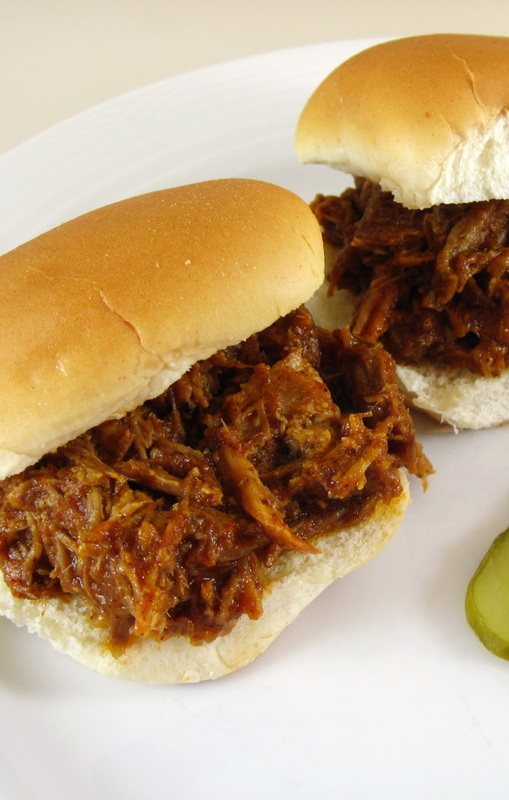 I always cook pulled pork in a slow cooker – EASY! I like your mix of seasonings, though. I may have to try them next time. Hi Sandy! The only reason I didn’t use my slow cooker was because I was cooking 3 roasts. I’m sure I’ll go the slow cooker route next time I do it with just one roast. This looks delicious! The sauce ingredients sound amazing and I’m sure they are. Quick question, if you use a slow cooker on the part where you have to remove the lid and continue to bake for 1-2 hours. Would you actually do that or just throw everything in and let it go until tender? 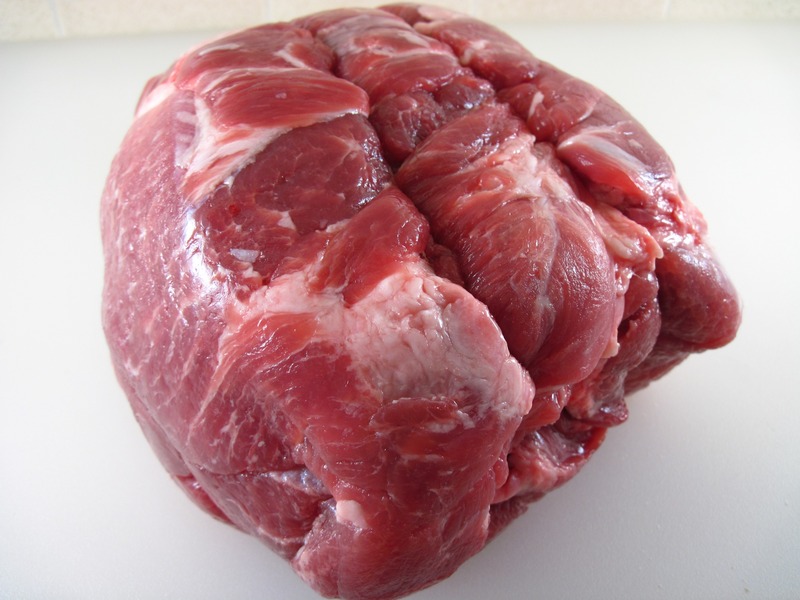 I have done a similar pork shoulder recipe in the slow cooker, and I used this method for the sauce. I didn’t shred it that time, however. This a fantastic recipe- we have tried adding more sauce for additional dipping which worked well too, especially next day!!! We have a party tonight for 30+ people and this is the main meal! I’m so glad you like it, Andrew! It is a great dish to serve a crowd. I love your idea of making extra sauce. Feeding a house full of Japanese Exchange Students tomorrow night and so grateful to find this recipe! Thank you Kath!!!! They should love it! Have fun!